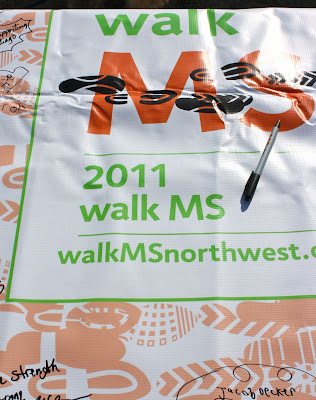 Multiple Sclerosis is an autoimmune disorder that effects the brain and spinal cord, caused by damage to the myelin sheath, which is the protective covering around nerve cells. When the myelin sheath becomes damaged and these nerve cells become exposed, nerve impulses are slowed down or stopped. 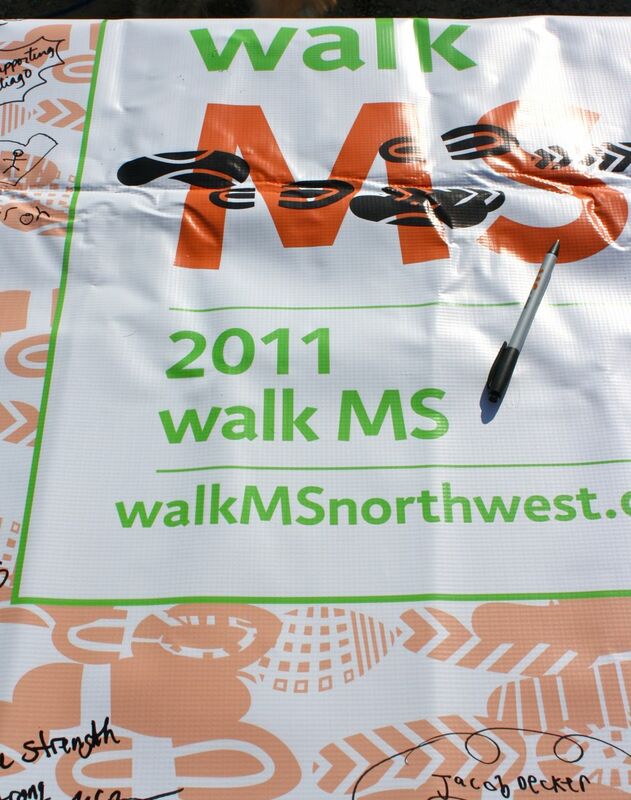 Currently, there is no known cause or cure for Multiple Sclerosis. Walk MS is an annual event that raises money to help find a cure, so that someday the world will be free of MS. 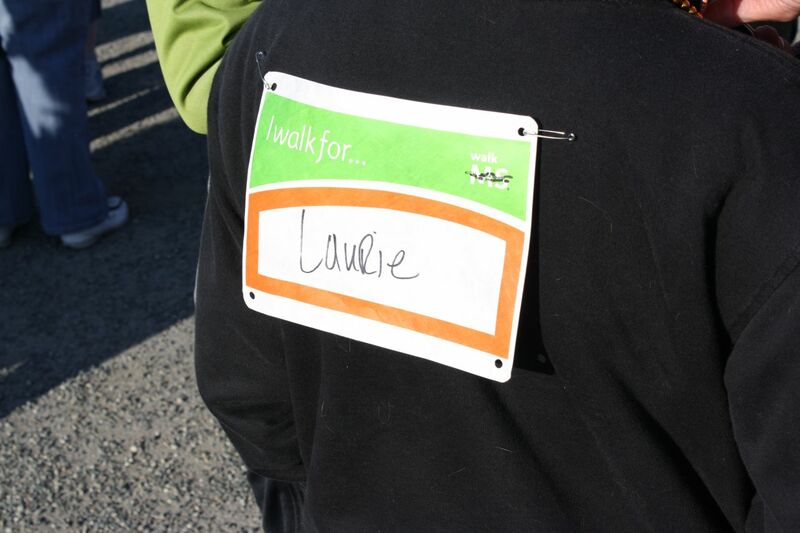 I walk for Laurie Siemens who is a great friend of mine. 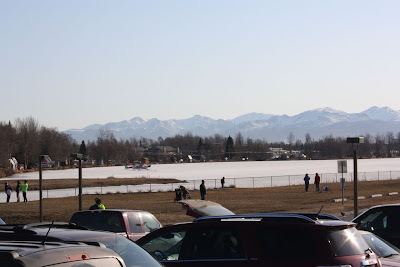 She and her husband Gordie have been a great support system for Leah and me since moving to Anchorage. They have been the people we turn to as we would our parents...if our parents were 3000 miles closer. 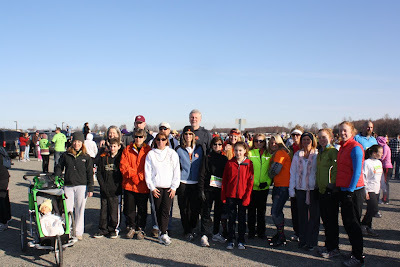 The morning was beautiful with the sun shining brightly and temperatures in the mid-40s. 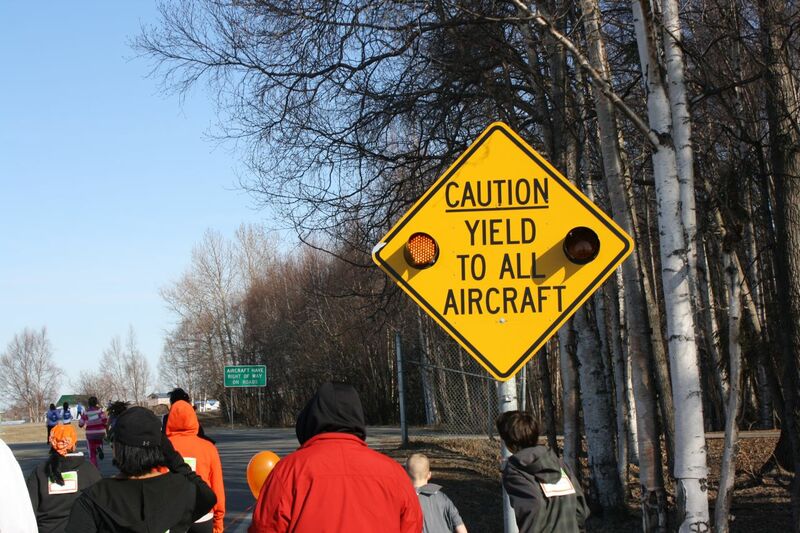 The walk began on the east side of Lake Hood, which happens to be the busiest sea plane base in the world. 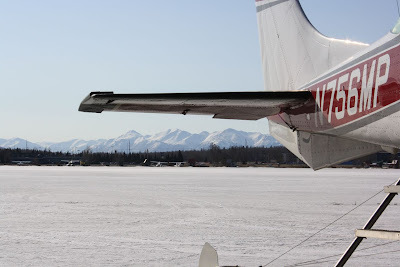 There are 781 aircraft based at Lake Hood. 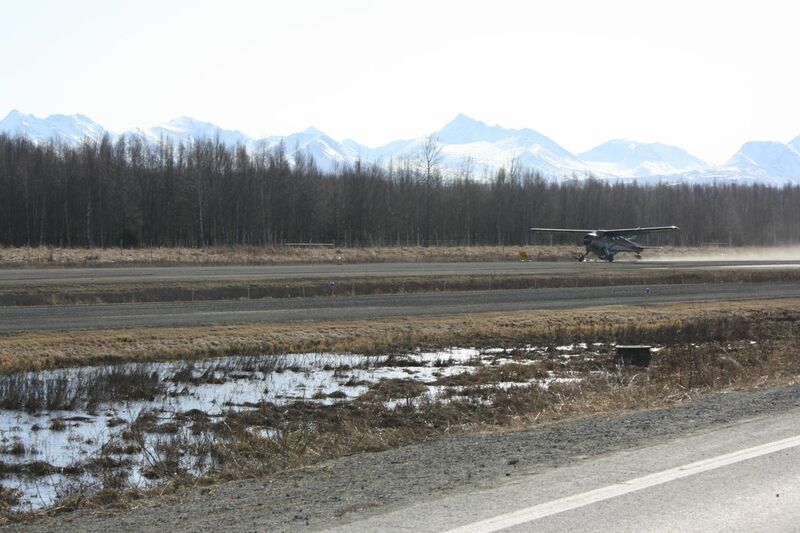 In 2005, the seaplane base had 69,400 aircraft operations, an average of 190 operations per day. It was obvious what was in charge. We saw a number of airplanes take off and land during the walk. 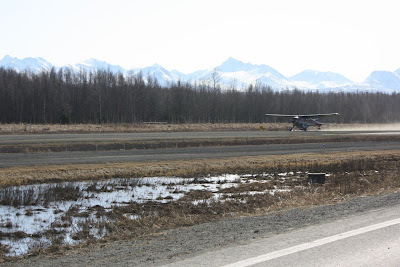 There are three seaplane landing areas on Lake Hood and one runway with a gravel surface. 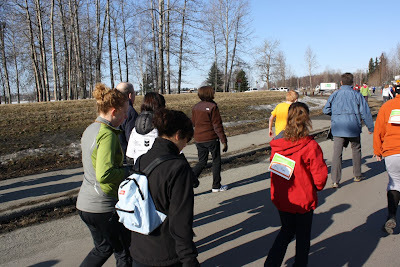 When the four mile walk was complete, we mingled with our team, Strenua Spes. 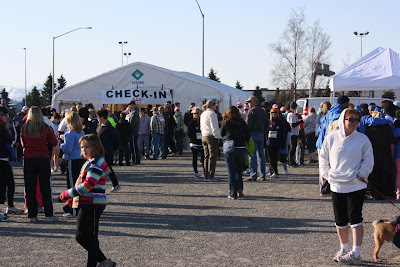 In Roman Mythology, Strenua was goddess of strength and endurance and Spes was the goddess of hope. Upon deciding on a team name in 2008, the first year Leah put a team together, I thought of using Roman Mythology for the name. 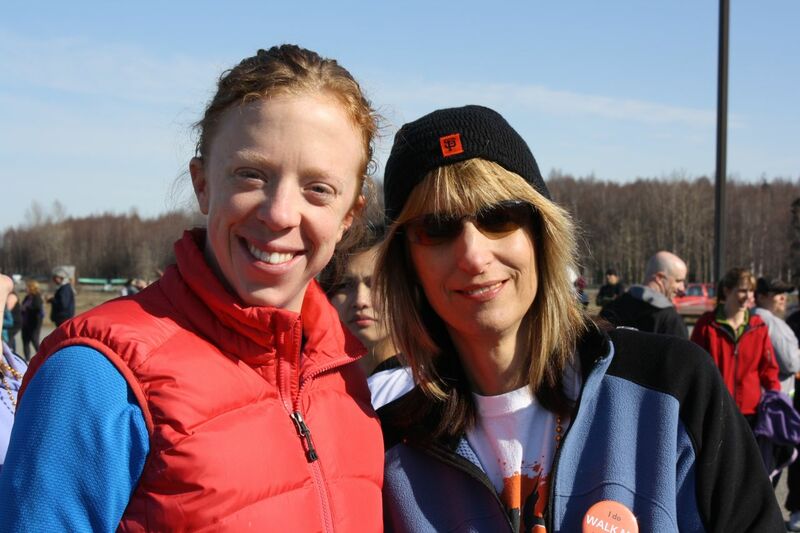 Both Leah and I agreed that these two goddesses defined Laurie - her amazing strength in living with MS, the endurance she puts forth on a daily basis, and the hope she and everyone has that someday there will be a cure for MS.
Laurie and me after Walking MS.